Few things are more annoying to drivers than windshield cracks. They’re unsightly. They can weaken the structural integrity of the windshield. If they’re in the wrong location, they can interfere with the driver’s field of vision. And, depending on the size of the crack, they can be expensive to repair. At the same time, unless you hit something with your car or cause an accident, cracked windshields are rarely your fault. They usually occur from falling objects (i.e. hail damage) or the vehicle in front of you kicking up a rock or piece of road debris that flies back and strikes your windshield. So now, through no fault of your own, your windshield is cracked and you have to decide what to do about it. But, suppose you have a small crack in the corner of your windshield that seems harmless and isn’t getting in the way. Is it legal to drive with the damage? Or, does the law require you to get it repaired? Like many auto regulations, the answer varies from state to state. 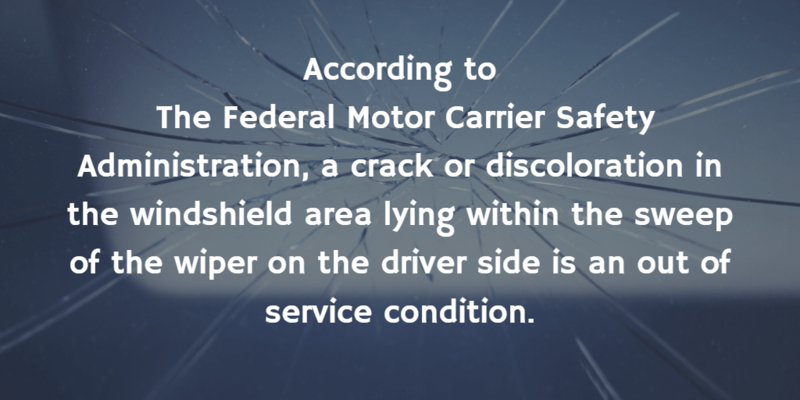 Interestingly, there are federal regulations for cracked windshields. These regulations permit cracks or chips smaller than ¾ inch in diameter, but they can’t be within three inches of another crack. Also, no windshield cracks are allowed directly in driver’s line of sight. States are required to adhere to the federal regulations, but they have some leeway when writing their own laws. For this reason, most states mandate that windshields may not have any cracks or flaws that interfere with the driver’s view. Extends into any area more than eight inches from the frame. Florida Transportation Code Section 316.610 states that it is a civil infraction to drive a vehicle in an unsafe condition due to faulty or defective equipment that endangers the driver or other citizens. Florida state courts have ruled that a cracked windshield that impedes the driver’s line of sight violates this section. Unlike Wisconsin, the size, shape and length of the crack is not defined, which leaves it up to the discretion of the police officer to decide whether the crack impairs the driver’s vision. In the interest of safety, some states – such as Florida, Kentucky, and South Carolina – require car insurance companies to pay the full cost of windshield repairs. That way, people don’t have to put off getting the repairs done due to the cost. However, in most states car owners need comprehensive car insurance to cover any windshield repairs or replacements. So, it pays to know your state windshield laws – from a financial and a safety standpoint. To learn about the laws in your state, contact your Department of Motor Vehicles or visit https://crackedwindshieldlaws.com. Small windshield cracks may seem harmless. In fact, you may not even notice them for days or weeks after they occur. If a crack doesn’t interfere with your vision when driving, it can be easy to delay having it fixed. However, even if you have a crack that doesn’t violate state regulations, it’s always a good idea to get it repaired sooner rather than later. Over time, extreme heat, direct sunlight, snow and ice on the surface of the glass, motor vibrations and bumpy roads can cause the crack to grow in size. If neglected long enough, some cracks will eventually grow large enough to cause the windshield to shatter. When this occurs, today’s high-tech automotive glass technology will usually prevent the windshield from collapsing. 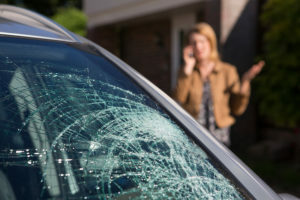 But a shattered windshield while driving can easily lead to an auto accident that causes injury and even death. Fortunately, most windshield chips and cracks can be repaired while they’re still small – a procedure that costs much less than a full windshield replacement. 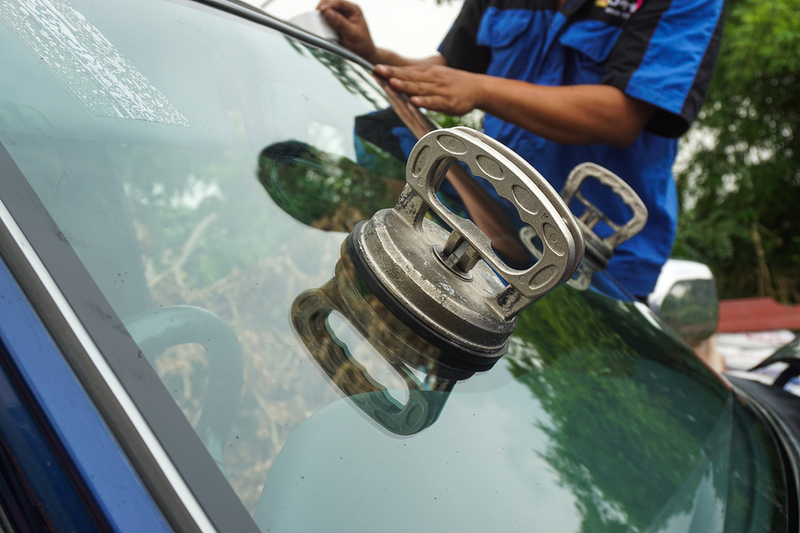 It also restores the full integrity of the windshield while removing an unsightly blemish from your vehicle. Whether you need small windshield crack repairs or a full replacement, bring it to your nearest Fix Auto location for fast professional repairs.